The Children’s Jury consisting of 36 from two local schools were present during the four last days of the competition - 3rd and 4th rounds - and they awarded their Prize of DKK 10.000 sponsored by the County of Funen to Robert Pickup, South Africa. * Bios of the four prizewinners at the end of this article. 40 competitors from 21 countries chosen among 128 applicants from 35 countries, competed during nine long days. In the 1st round (June 1 - 3) all competitors played the 1st Cadenza from Carl Nielsen’s Clarinet Concerto, the 2nd movement of Mozart’s Clarinet Concerto, Debussy’s Première Rhapsodie and a new Danish piece for solo clarinet,“Searching” by Andy Pape. 24 competitors passed to the 2nd round. On June 4 and 5 they played works for clarinet and piano by Brahms, Niels Gade, Poulenc, Schumann and Weber. The 12 semifinalists performed solo pieces by Berio, Denisov and Stockhausen as well as Carl Nielsen’s delightful “Serenata in vano” for clarinet, horn, bassoon, cello and double bass. The latter was played with musicians from the Odense Symphony Orchestra. On June 8 and 9 the two final concerts took place in the Carl Nielsen Concert Hall. The Clarinet Concertos by Carl Nielsen and Mozart were played by each of the four finalists accompanied by The Odense Symphony Orchestra and Ukrainian conductor Fedor Glushchenko. The Nielsen Competition uses a simple but efficient voting system. Without any kind of discussion, members of the jury cast their votes in secret.The secretary general of the competition and an impartial supervisor count the votes after each ballot.After approx. an hour the jury re-entered the hall, the result was announced and prizes awarded in front of an enthusiastic public. The distinguished jury was composed by: Hans Deinzer, Germany, President, Michel Arrigon, France, Søren Birkelund, Denmark, Béla Kovacs, Hungary, John Kruse, Denmark, Sabine Meyer, Germany, Charles Neidich, USA, Jens Schou, Denmark and Kjell-Inge Stevensson, Sweden. During the competition, a number of concerts were held featuring members of the jury. Sabine Meyer was the elegant soloist in Weber’s 1st Clarinet Concerto with The Odense Symphony Orchestra and their chief conductor Jan Wagner at the opening concert on May 31. Michel Arrignon, John Kruse and Søren Birkelund gave wonderfully accomplished performances of Clarinet Quintets by Mozart, Brahms and Weber. Charles Neidich, Kjell-Inge Stevensson and Jens Schou took the audience on a tour of virtuoso clarinet performances: From new-music-specialist Jens Schou’s interpretation of Sofia Gubaidulina’s “punkte, linien und zickzack” from 1976 via a medley of “souvenir de l’opéra” collected and played by Kjell-Inge Stevensson to Charles Neidich’s unbelievable tour de force of fast passages and high notes in a newly written solo piece as well as transcriptions of violin pieces by Pablo de Sarasate. The extremely high level of performance throughout the competition itself and the four concerts featuring members of the distinguished jury made these ten days into a true clarinet festival, and played by Kjell-Inge Stevensson to Charles Neidich’s unbelievable tour de force of fast passages and high notes in a newly written solo piece as well as transcriptions of violin pieces by Pablo de Sarasate. The extremely high level of performance throughout the competition itself and the four concerts featuring members of the distinguished jury made these ten days into a true clarinet festival. 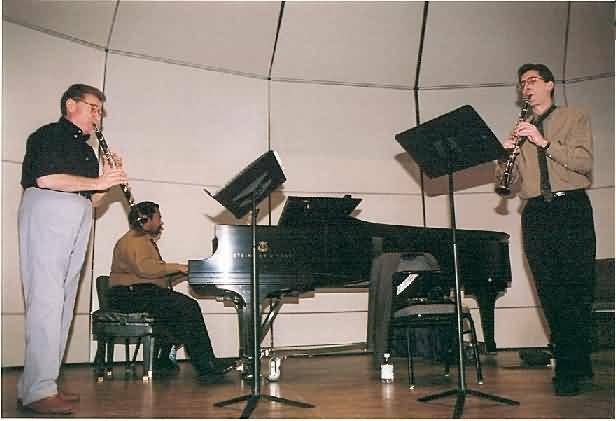 In the 1st round (June 1 - 3) all competitors played the 1st Cadenza from Carl Nielsen’s Clarinet Concerto, the 2nd movement of Mozart’s Clarinet Concerto, Debussy’s Première Rhapsodie and a new Danish piece for solo clarinet,“Searching” by Andy Pape. 24 competitors passed to the 2nd round. On June 4 and 5 they played works for clarinet and piano by Brahms, Niels Gade, Poulenc, Schumann and Weber. The Nielsen Competition uses a simple but efficient voting system. Without any kind of discussion, members of the jury cast their votes in secret.The secretary general of the competition and an impartial supervisor count the votes after each ballot.After approx. an hour the jury re-enter-ed the hall, the result was announced and prizes awarded in front of an enthusiastic public. During the competition, a number of concerts were held featuring members of the jury. Sabine Meyer was the elegant soloist in Weber’s 1st Clarinet Concerto with The Odense Symphony Orchestra and their chief conductor Jan Wagner at the opening concert on May 31. Michel Arrignon, John Kruse and Søren Birkelund gave wonderfully accomplished performances of Clarinet Quintets by Mozart, Brahms and Weber. Charles Neidich, Kjell-Inge Stevensson and Jens Schou took the audience on a tour of virtuoso clarinet performances: From new-music-specialist Jens Schou’s interpretation of Sofia Gubaiduli-na’s “punkte, linien und zickzack” from 1976 via a medley of “souvenir de l’opéra” collected and played by Kjell-Inge Stevensson to Charles Neidich’s unbelievable tour de force of fast passages and high notes in a newly written solo piece as well as transcriptions of violin pieces by Pablo de Sarasate. Born: December 10, 1977 Studied at the Israel Arts and Science Academy and The Juilliard School of Music. Teacher: Charles Neidich. Competitions: 1st Prizewinner in the 2001 Young Concert Artists International Auditions and the 2000 Israel Spring Competition. Concerts: Gave recitals in the US, UK, Holland, Germany, Latvia, Japan, Korea and Israel. Performed as soloist with the Tokyo Philharmonic and Juilliard Orchestra.Recordings: His first CD with music by Poulenc, Schumann and Shulamit Ran will be released in 2001. Born: May 31, 1979 Studied at Conservatoire National Supérieur de Paris. Teacher: Michel Arrignon.Competitions: 3rd Prize (top ranking) “ARD” in Munich 1998, 1st Prize “Dos Hermanas” in Sevilla, 1999, 2nd Prize in Bucarest, 2000, 1st Prize ICA High School Competition, 1997. Special Prize in Toulon, 1997.Concerts: Soloist with a. o. Bavarian Radio Orchestra and Tokyo Philharmonic.Toured inEurope, South America, Russia and Japan. Solo clarinettist in the EU Orchestra under Bernard Haitink. Born:August 18, 1976 Studied at the Music Academies in Münster and Lübeck. Teachers: Sabine Meyer, Reiner Wehle and Werner Raabe. Master classes with Eduard Brunner, Wolfgang Meyer and Johannes Peitz. Prizewinner in “Jugend Musiziert” competitions. Has performed as soloist in German Radio (WDR and NDR). Appeared as a chamber playerin Germany. Member of Junge Deutsche Philharmonie since 1998. Studied at Conservatoire National Supérieur de Paris. 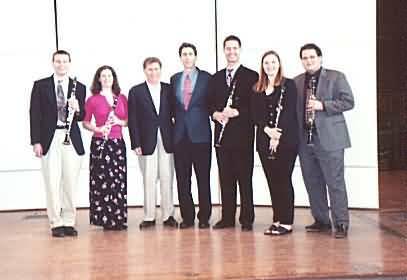 Competitions: Special Prize in Toulon, 1997 and 3rd Prize “Dos Hermanas” in Sevilla, 1999.Solo clarinettist in the EU Orchestra under Haitink, Colin Davis and Ashkenazy.Was a member of l’Orchestre de la Garde Républicaine in Paris and is now solo clarinetist in l’Orchestre National Bordeaux Aquitaine. Performs as chamber player in France and abroad. Sextet in Eb Major, Op. 71. The annual Messe held in Frankfurt is probably the largest of its kind in the world, attracting thousands of musicians, students, manufacturers and sellers of all categories of instruments, equipment, accessories, and more. Music events are constant during the week. 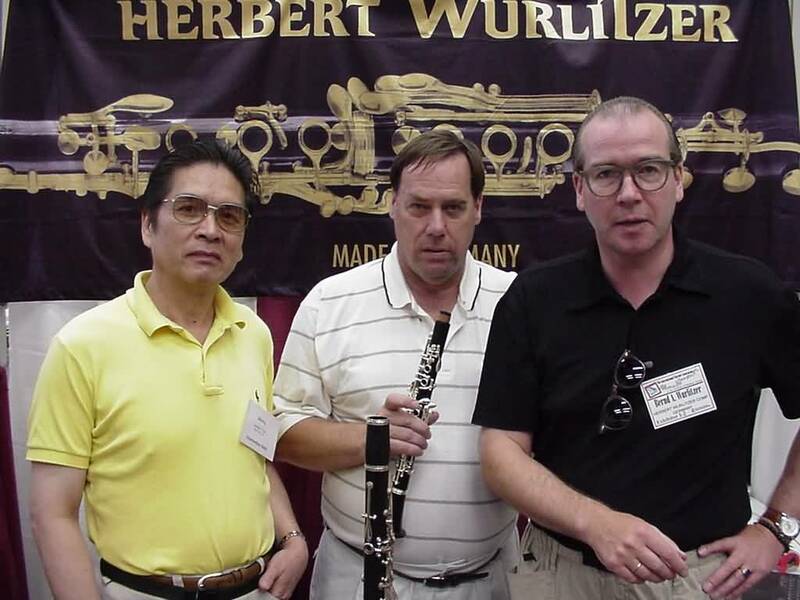 In the Clarinet/music field, the top makers with their top management are present to assist marketers and customers alike with areas to try their latest instruments and meet clinicians and music professionals worldwide. This event is very high priority to attend to keep up with the field and be able to make contact to further careers. During January 26-30th, this major Klarinetten Meister Class was held at this historic castle in a small town named Weikersheim, not far from Wuerzburg, Germany. The ensemble Interclarinet, consisting of distinguished members Norbert Taubl (Vienna Philharmonic), Manfred Preis (Berlin Philharmonic), Josef Balogh (Budapest composer and noted clarinetist and teacher), Johannes Gleichweit (Vienna Radio Symphony Orchestra), and Harald Harrer (Augsburg Hochschule fur Musik). Students came from all over Europe, and the 4 day lesson-master class intensive activity was well worth the effort given the diverse viewpoints on several areas offered by these great pedagogues. 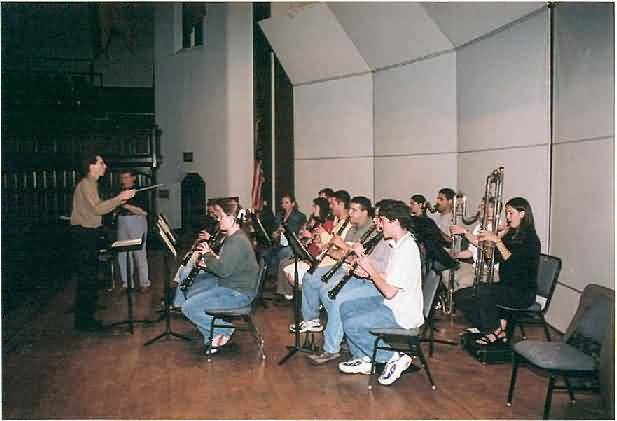 Major areas covered were musicianship, interpretation of musical styles, orchestral audition coaching, chamber music, and improvisation including klenzmer. The Interclarinet ensemble performed to a full house at the schloss at one of the evening events. It is vitally important for interested clarinetists to make a point of attending these kind of master class conferences. Of special value is the location away from the busy city environment as this seems to be like a retreat at a pleasant rural area. This event was presented in collaboration with the Juenesses Musicales Deutschland. The annual Christmas Concert for the Heidelberg Military Community and the German public presented by the USAREUR Band and Chorus was held at Eppelheim. The concert was performed with a program of diverse repertoire for the season and especially meaningful given the current International circumstance, where service members are deployed and away from their families. An aim of WKA is to reach players from many sectors and involve them further in the clarinet community, to include opportunities for growth for themselves and their organizations. 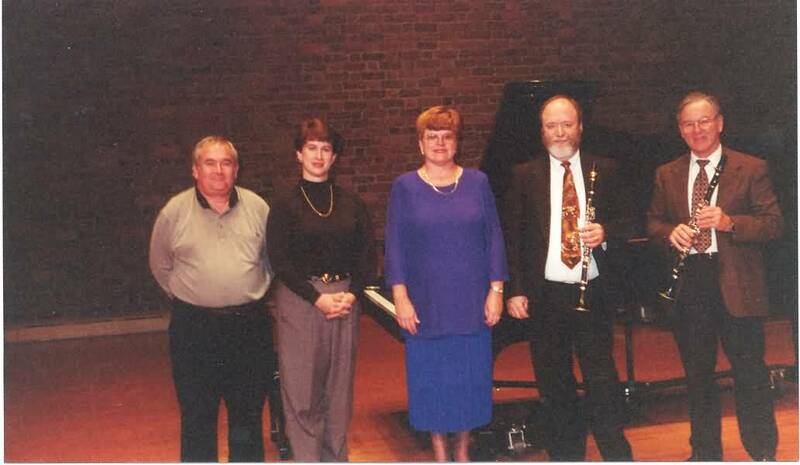 A special Recital was performed with Germanic Romantic music for Clarinet and Piano with an artistically inspiring performance with Karl Leister, the master clarinetist of this music and an accomplished chamber musician pianist Forenc Bognar, from Austria. This concert was held in the most famous Hotel and Spa in Germany, the Brenner Hotel and Spa, where many International celebrities and Heads of State meet and reside. Music performed were standards in the clarinet repertoire including the Schumann Romanze, Op 94 and the Fantasiestueke Op 73, the Brahms 2nd Sonata Op 120 No. 2, Niels Wilhelm Gade Fantasiestueke Op 43, and piano works by Mozart and Chopin. Events like this away from a conference environment bring a special meaning for coming and hearing this music. It is hoped that these can generate more concerts of these types and expand the recital/chamber music interest to reach a broader public to benefit from it. Musicale Umbra” and the Italian Clarinet Association and his president, Prof.
Piero Vincenti, took care about this Festival. will take place in Perugia next year in September 27, 28, 29. The concert music was opened by Eva Wasserman-Margolis, who was born in Florida, but works today in Tel Aviv, Israel. She has been known in Europe as a performer and a pedagogue. Mrs Wasserman-Margolis performed Taneyev´s Canzona and two parts (Ballade and Scherzo) from Four Characteric Pieces by Hurlstone. She is at her best when building melodic lines and with traditionell clarinet repertoire, but as a composer her music language is modern. The Finnish Saxophone Quartet (Pekka Savijoki, Timo Rantanen, Kai Ruskeepää, Juha Keikkonen) played with full intonation and sound which fullfill softly this beautiful stone church. Suite for Winter by Schickele was performed by two of the best and well-known Finnish musicians Kullervo Kojo (cl) and Petri Keskitalo (tuba). It was an exciting and humoristic piece, which should be heared again as soon as possible! It´s hard to image which other duo could interprete this work better! Józseph Balogh, a Hungarian clarinet virtuoso, composer and a pedagogue, is not known in Finland widely, yet. He improvised a solo with his own work titled Comics. This performance made the audience almost ”wild”. At the final we heard playing by young Finnish clarinet choir called Klaramania. This 22 clarinetist´s young student choir is always as sweet. This time they performed Insecta Clarinetistae by Markku Kopisto, a contemporary Finnish composer and a clarinet pedagogue. The Klaramania Choir was conducted by Karipekka Eskelinen. The host during the concert was Mr Antti Nuorivuori (one of the EuroCASS founders). Programs were sold out! The Emiliano Clarinet Quartet comes from Modena, Emilia Romagna. 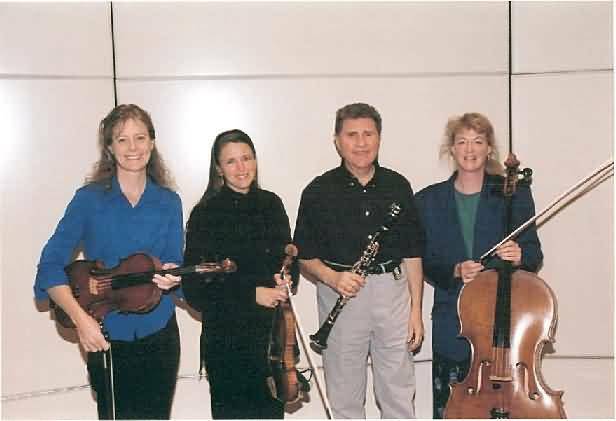 The clarinettists of this quartet are mostly pedagogues, but have performed and recorded together during last few years. The ”boss” of the quartet is Paolo De Gaspari, who will finalize his diploma in Conservatory of Rotterdam this year. The sound of the quartet is softly unique (Selmer instruments), very sensitive and fine. They play well the repertoire which they feel suitable for them without experimenting technically too complicated works. The most touching work in the recital was ”Ravenna”. The whole recital was well thought, but the extra-Baermann played by Balogh didn´t fit totally to the wholeness. The young quartet is an active performer and seeks continuosly contacts and partners. They established during this visit also contacts to the Finnish Istituto di Cultura Italiano. The audience was enthusiastic, the acoustics of the hall and concert organisations excellent. Thanks to the Vantaa Music Institute and the senior clarinet teacher Mrs Eija Särkimäki with her team! 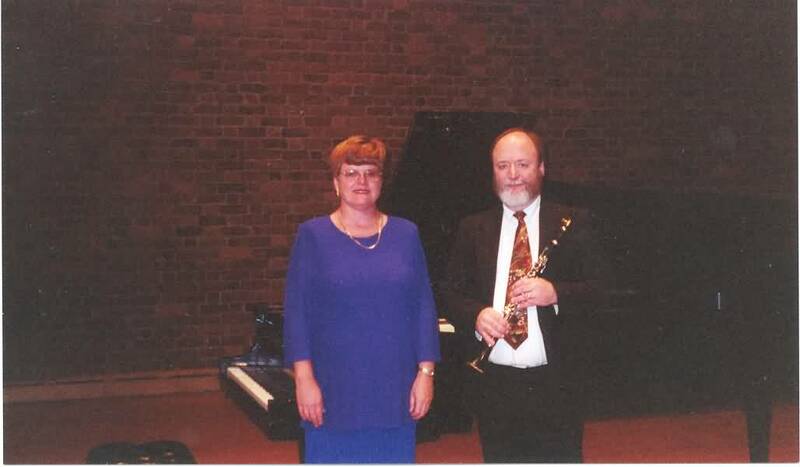 The chairman of EuroCASS, Angela Fussell, cl, with her husband Vivian Troon, pf, (from Great Britain) performed British and French clarinet music, which is not well known in Finland (Stanford, Wood, Delmas, Bullard, Rakov). They seemed to be nice pieces of music, propably quite suitable also for pedagogial use. A shining example of Finnish single reed art was heard played by Mr Asko Heiskanen (cl), Mr Olli-Pekka Tuomisalo (sax), Mr Tomas Djupsjöbacka (vcl) and pianists Ms Mirka Viitala and Mr Sampo Haapamäki on Thursday afternoon recital. The program was a stylish combination of Finnish modern reed music with Brahms´s clarinet trio in the end. Their´s interpretation of Lindberg´s Stemanboat Bill Jr for clarinet and cello belonged absolutely to the international elite, also the clarinet trio. Olli-Pekka Tuomisalo is a versatile musician, who has found his own way to the narrow sector of Finnish classical saxophonism. He got out – to the audience mostly unknown modern pieces by Finnish young composers such as Fagerlund, Haapamäki, Saarinen, Kuitunen – interesting listening experiences. The suggestive Mamertinum by Saarinen was a specially positive experience. In the same evening there was more delicatesses to offer. About this concert I can only say, that it should have been very refreshen and inspiraing experience to all wind instrument players about performing and skills. It was like a French wind from the great international music estrades. I´m ashamed to tell, but there was just few listeners. The host during whole Thurday´s activities at the conservatory was saxophone senior teacher Mr Juha Keikkonen. He had organised there also an exhibitions with The Finnish Music Information Centre and Yamaha instruments with F-Music Finland. On Friday we moved from Helsinki to Järvenpää town and to it´s also acoustically famous Sibelius Hall. In the afternoon we heard a clarinet sonata recital performed by Mr Jarmo Hyväkkö, who is the principal clarinettist in Tampere Symphony Orchestra in Finland (Tampere is 2nd biggest city in Finland after Helsinki). The duo seemed to belong to the group of musical architects, because they built up so well together the sonatas of Martinu, Saint-Saens and Reger. The all were like individual buildings, rich inside with details. Also the solo piece Hirtengedichte op. 1 by Leppälä opened musically gently to the listener. Highly professionel audience appreciated duo´s interpretations with couple of bravos. In the evening concert performed our international guests mostly. Mrs Eva Wasserman-Margolis (Israel) and Mr Luigi Magistrelli (professor of Milano Conservatory) haven´t performed together as a duo before, but their taste of music, sound and interpretation worked perfectly together. As a Northern Italian Magistrelli is a refined musician and his colour palett is more sensitive than you expect from the expressive Italians to be. He is also a collector of clarinets and clarinet music, and his collection is one fo largest in Europe. Ms Hanna Susitaival is a fine and reliable young pianist, who has already name in Finland specially as a lied pianist and correpetitor. After the intermission Glinka Trio (Dr. Spencer Pitfield, clarinettist from Great Britain, Mr Antal Mojzer, bassoonist, born in Hungary, lives in Finland and Mr Risto Lauriala, one of the most known pianists in Finland) gave a great wholeness including also some early clarinet music, which is found again for concert use thanks to Dr Pitfield´s research work. Also Lulla by Palmer ja Trio by Lloyd were nice music listen to. Specially I remember the rich sound of the bassoon by Mr Mojzer. This small recital was like the face of this modern time: two clarinettists, unknown earlier to each other, the other from the USA, the other from Northern Finland, communicate of the coming recital by e-mail. Mr Mika Ryhtä and Dr Gregory Barrett succeeded in making a program, where humanity and the nature met in the fenomena of our time. Eiriksson´s and Resanovic´s tape pieces played by Mr Ryhtä were exciting and inspiring. Dr Barrett for his part had chosen three pieces which each included one of the headline´s titles. He was absolutely at his best when playing Foto by a Finnish known modern composer Nevanlinna. It was specially refreshing and line breaking to hear works by Lutoslawski and Pylkkänen (Finnish composer) played with accordion and not with piano as usually. The co-operation between Barrett and Finnish accordionist Mikko Luoma was seemless. The Farewell Concert needed a lot of work. The organisator of the big clarinet choir for the concert was Ms Pauliina Tamminen, a professionell clarinettist herself. Special thanks to her! In the beginning of the concert we heard also human voice, barytone Jari Saarman performed with Olli-Pekka Tuomisalo (sax) and Sampo Haapamäki (pf) two Finnish songs by Klami and Hannikainen. The trio has never performed before together, but the combination was functioning well. The first premiere of the concert was Qwack! Nr 2 for clarinet and piano by a young Finnish composer Mikko Hassinen, who is known originally as a jazz percussionist in Finland. The duration of the piece is only two minutes, but – according to the composer – just the first part. It was rythmically fun with the ”qwacks”. It was performed by clarinettist Mika Ryhtä and pianist Hanna Susitaival. Józseph Balogh performed Piece for Phil Marlowe by Hungarian contemporary composer György Selmeci. The piece brought in front of eyes theater or film scenes of the well-known fictive detective. It must be also fun music to play! And because Balogh is Balogh, he wanted also perform one of his own klezmer pieces as an extra. The second premiere was Carousel for bass clarinet and a clarinet ensemble by contemporary Finnish composer Markus Fagerudd. The soloist was Mr Heikki Nikula and in the ensemble played Petri Vallius, Jutta Jelys, Mika Ryhtä, Ilkka Teerijoki, Nina Selin and Marko Portin (all Finnish professionall clarinettists) with skillfull clarinettist-conductor Jyri Nissilä. This work I can not comment, because I wasn´t listening that in the hall, and the piece was partly based on the acoustically effects (the circuling carousel). But according to the aplodes and bravos it was successfull! Finally, the big Finnish Clarinet Ensemble (35 musicians) was ready for the stage, and the Chalumeaux Suite by Jukka Linkola started (recorded 1990 Finnish Clarinet Ensemble, conductor Osmo Vänskä). In the orchestra played also Dr Gregory Barrett and from the Emiliano Clarinet Quartet Paolo De Gaspari, Antonella Chiuchiolo and Maurizio Manfredini. Has a new star born in the Finnish/international clarinet sky? Christoffer Sundqvist (23 years) has at least the electricity and stage charisma for that. With Crusell´s Introduction and Variations he played with great virtuosity and large nyance scale, but in good taste´s limits. The future will show where his way is going to. At the end we heard the two usual polka´s by the Finnish Clarinet Ensemble. To the last, the traditionell Clarinet Polka, joined also Józseph Balogh with improvisations. The audience clapped hands furiously. *) the writer is a diploma clarinettist (Sibelius Academy), the chairman of The Finnish Clarinet Society, and she was EuroCASS in Finland 2001 team leader with jazz-saxofonist Teuvo Siikasaari. She has worked at Sibelius Academy as an orchestra manager and planning officer in the Further Education Center, and as a clarinet teacher in many music schools in Helsinki area. During that work period she was also a member of the Sibelius Academy Board. Last ten years Mrs Anna Joensuu has committed herself mostly to business and family life. For all clarinetists with a true musical role model to look to, this performance of the Brahms Clarinet Quintet (Op 115) with the Leipziger String Quartet was an inspiration to the sold out audience attending. Karl Leister, solo Clarinetist emeritus from the Berlin Philharmonic, performed in the legendary class he has done so many times in the past, chamber music of which is his forte. Tonally rich and dark in timbre is a German tonal 'trademark' as he performed on clarinets produced by Herbert Wurlitzer with those unique characteristics. Mr Leister is on faculty this summer at the Orford Music Festival in Quebec. 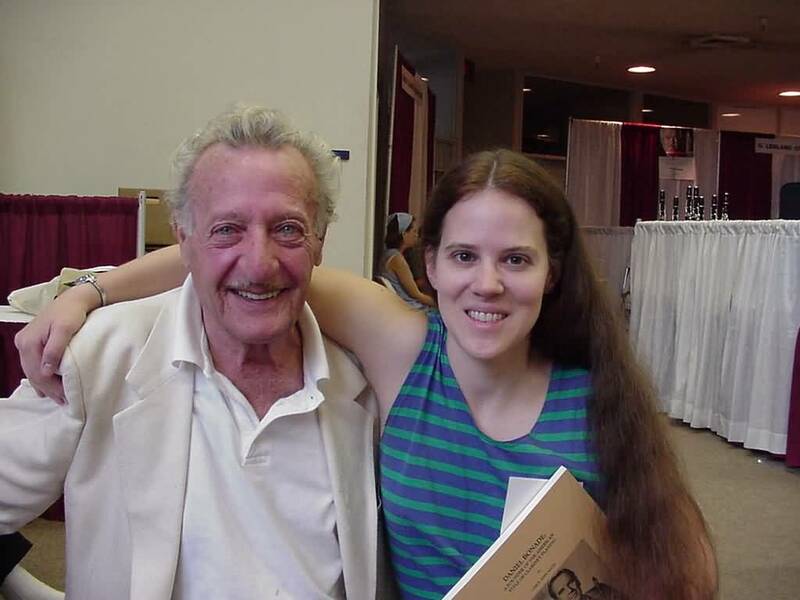 Players in the USA coming to the ClarinetFest in New Orleans will see Mr Leister in attendance. Of interest, Mr Leister performed at the initial Klar/Fest 81 at Catholic University in Washington, DC. During this special reunion and exciting series of master classes, concerts, lessons, and exhibitions honoring Meastro Drucker's legendary accomplishments as probably the most prestigeous clarinetist of the last century, as solo clarinetist in the NY Philharmonic for over 40 years, and member of the orchestra for over 52 years, a record for any player given the world-class status of this great orchestra. Noteworthy about Mr Drucker is his solo career and having been the most frequent 'in house' artist soloist having performed every major concerto including world premieres of works written for him like the Corigliano Clarinet Concerto. 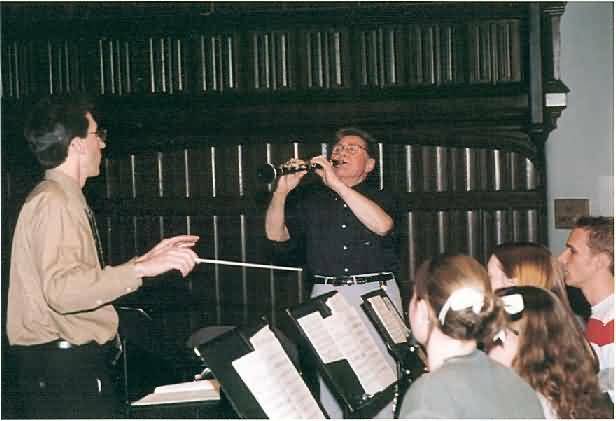 Of special significance is the artist/friend relationship with Professor Mitchell Estrin who studied with Mr Drucker at Juilliard and performing for over 20 years as a member of the NY Philharmonic in New York and on International tours. The impact of the weekend reached the students and participants who all participated in various venues including support ensembles. 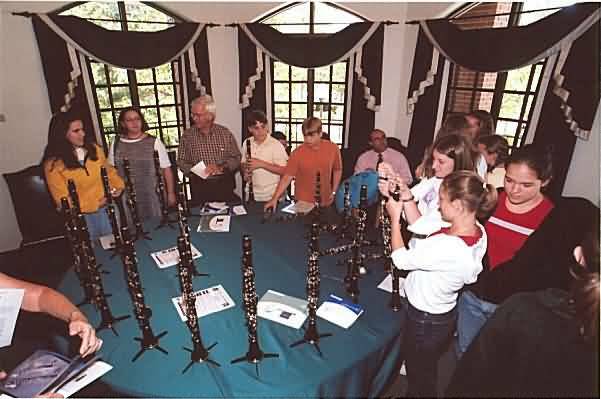 Various music firms including Buffet-Crampon and Vandoren exhibited and sponsored this event. This weekend makes Estrin's Clarinet Studio a very important asset to the American University music community with this artist-class approach to developing future players. A special evening at the annual Schwetzinger Festspiele at this famous Palace featured a legend in Jewish Klenzmer Music in the name of Giora Feidman and his ensemble, performing for a sold out audience with SWR Broadcast. 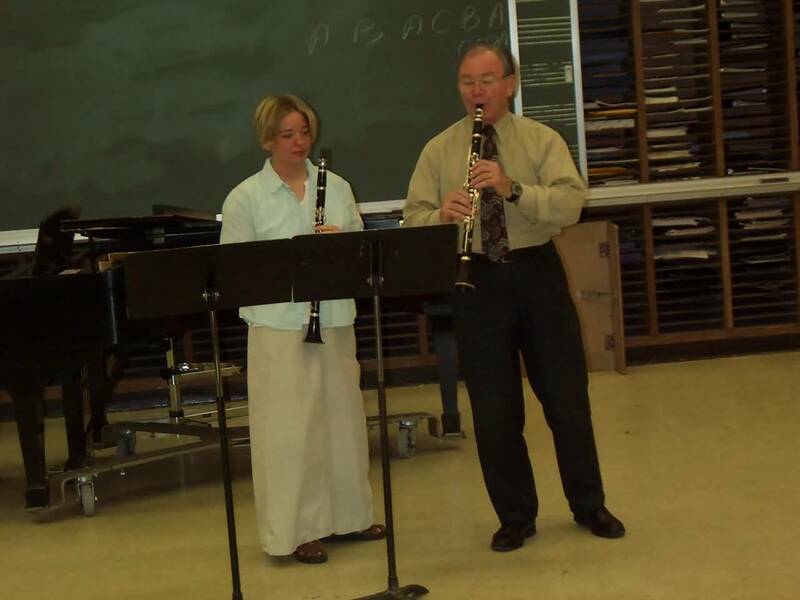 Feidman is a pioneer of this music for clarinet as it is becoming more popular all over the world. 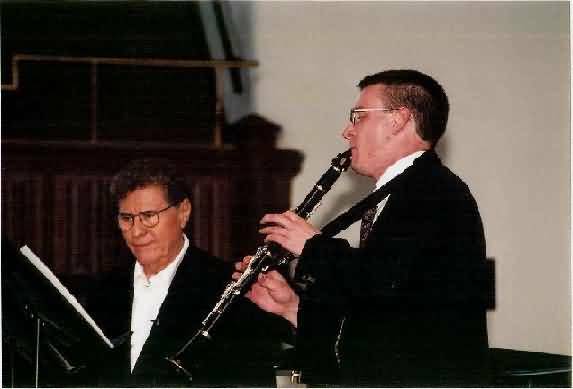 Previously, Mr Feidman was solo clarinet in the Israel Philharmonic before changing his venue to this music. Of interest in this and many other previous concerts, the virtuosity and soul hallmark all the performances along with audience involvement including singing with the group on specific pieces. Often Mr Feidman tours Europe for sold out houses and gaining new interest in the audiences who hear another musical approach as compared to jazz and classical concerts. 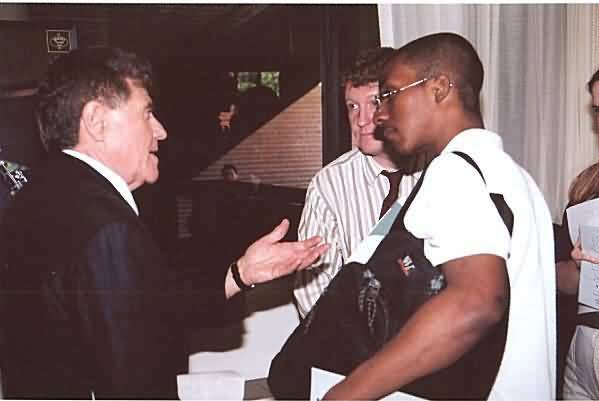 In 1982, Giora Feidman performed at the Clar/Fest 82 at Catholic University in Washington, DC. During the week from March 7-11th, the Annual Frankfurt Musik Messe was held at the Messe Fair complex, where all the major 'who's who' in the Music Industry exhibited their latest products. In addition, shows and performances in all the music areas were held. Estimated attendance was in the thousands for the number of visitors, participants, and business clientele. 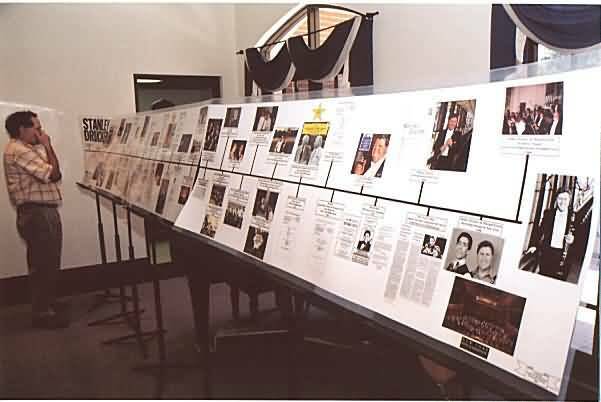 In the Clarinet aspect, all the major firms with their top management were there with displays and exhibitions. Other music firms, including music publishers, accessory companies, recording companies, schools, and others, were here in force. This is the largest Music Fair in Europe. Anyone serious about the field should make a point of coming to this event when it's held each spring. On Saturday, March 10th, at 1900, at the Frankfurt Marriott Hotel adjacent to the Frankfurt Musik Messe, there will be a meeting to initiate German registration (e.v. Verein), and select and elect WKA Officers and Representatives. All present members and interested persons are invited to attend and participate in this important meeting, especially representatives of the Music Industry, Music organizations, and others. Agenda will include future directions for this innovative organization, International project plans, and how these areas can fully benefit members worldwide. All suggestions and input will be heard and considered. Make plans to attend and make WKA the most effective instrument to make change to further the music field. recital, clinics, and master classes. The two-day event was hosted by Dr.
members of the Furman University Music Faculty. 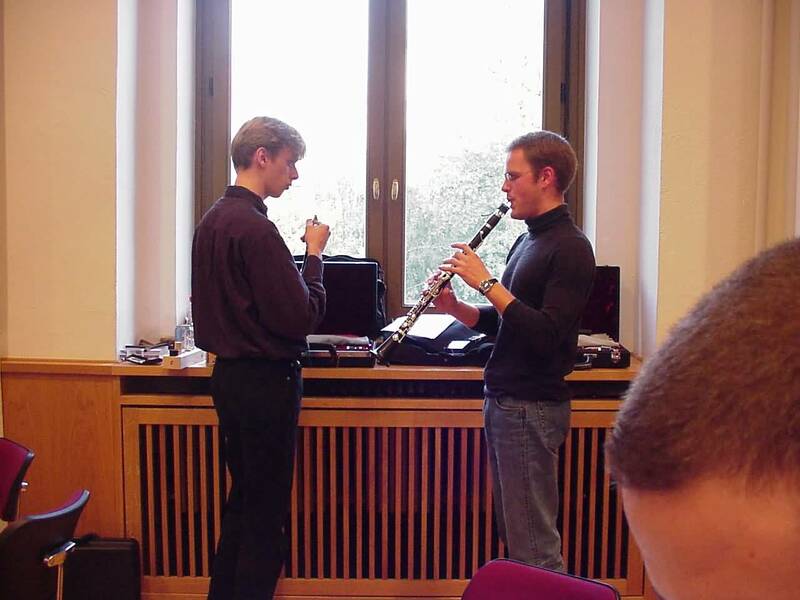 Leipzig, Germany- The 2nd Clarinet Symposium sponsored by the recently established Deutsche Klarinetten-Gesellschaft (DKG), held at the Mendelssohn Hochschule for Music, was an artistic and educational achievement, featuring many of the most distinguished professionals and Professors in Germany. All performances, from the featured concerts to the Student recitals, given by class according to the conservatory represented, were top drawer performances. During the weekend, one would closely examine the exhibitions featuring the many German clarinets and related items. 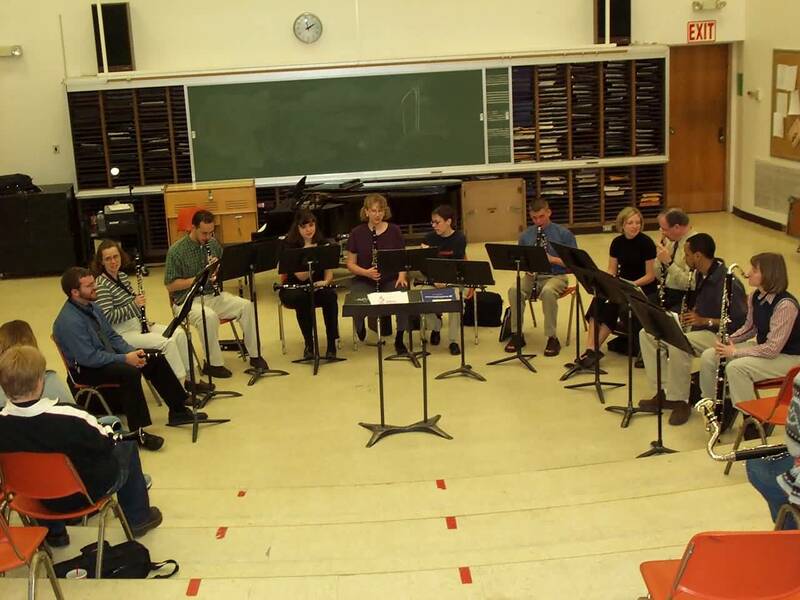 Related to the WKA initiative, several students and professors were interested in the inter-connectivity of communication between students, their school clarinet class, and the Academic Alliance formats. With this aspect, it would be possible to truly e-mail connect anywhere in the world from the core database. Everyone is invited to check this benefit upon joining (FREE). More information regarding this symposium can be found in the Rohrblatt Magazine. Everyone is encouraged to 'reach out' and join this organization listed above along with other fine groups and fully benefit from the association. 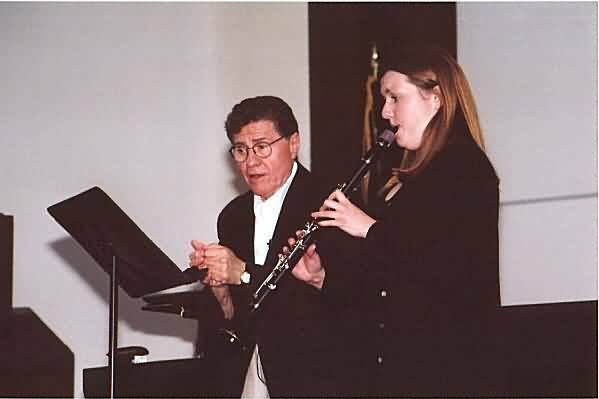 University of Oklahoma USA During this week of the ClarinetFest 2000 and meeting several clarinetists from all over the world, the WKA membership initiative was launched and getting the attention of many who attended. Central to the effort was noting the FREE membership to all individuals and organizations, especially university professors who can benefit from the interaction with other institutions for project development, master class tours, and exchange programs. Everyone is encouraged to join the WKA for the Internet-intensive opportunities and having grassroots world connections which can open International doors never before known. As mentioned before, the necessity of computer and its assets cannot be over-emphasized. The WKA Member Core Index will be operational within 30 days and accessible only by logon and password, after on-line membership is confirmed. Everyone, students, professionals, laymen are encouraged to be part of this new initiative which will signal a new beginning in organizational concepts. MANNHEIM, Germany Effectively immediately, after consultation about future directions for WKA and its programs, the permanently stated membership rates for all individuals, Alliance Organizations, Academic Alliance Partners, will be no charge for full membership. It is highly recommended that everyone completes the WKA Survey to make possible serving everyone's interests and needs. Logon and Password access to the core of the site will be provided as soon as the final upgrade is applied to the site. All members are encouraged to submit articles, presentations, and other merit material for publication into the core of the site. Dissertations are also encouraged. Such documents should be submitted as PDF files for protection against unauthorized copying and alteration. It is hoped that this action will encourage everyone to open up to this new concept. MANNHEIM, Germany. The WKA Web Site has been posted for about six weeks, with positive response hits of over 350. It is planned on pursuing Alliance Partner memberships and updating major events and organizations. A survey is now posted on the site for your completion, with an offer to provide free Alliance membership for individuals for one year. Survey results will be posted later after the analyses are compiled. The purpose of this survey is to gather information and suggestions to make the Alliance work for everyone. It is vitally important to know that WKA is not a competitive agenda to affect other similar organizations. Many Alliances are in place in many fields, as they provide an unified strength for their members. Please complete this form and e-mail it in. As soon as the server capabilities is set, the membership will begin from the date of submit. Keep posted with the WKA Site for new information as it gets posted. 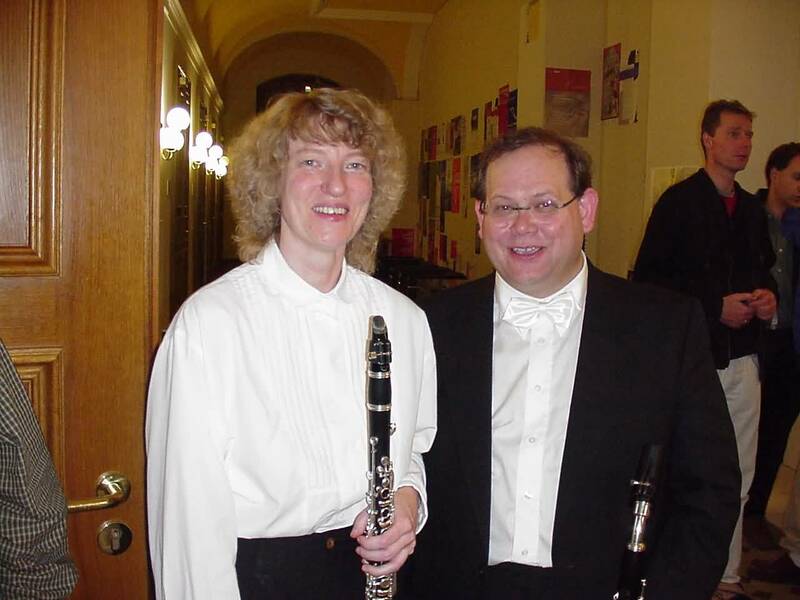 MANNHEIM , Germany - This is the Official introduction on the World Wide Web of the World Clarinet Alliance (WKA). Information throughout the Site will inform of the total objectives of joining together diverse views and agendas that can positively enhance our lives through contact with these organizational sources. Official start of WKA is scheduled in Frankfurt Germany on Saturday, April 15th, at 1800 at the Marriott Hotel across from the Frankfurt Musik Messe, in progress that week. All interested are cordially invited to attend. Agenda of this meeting is to review the legal organization documents, elect Officers, and initiate the active corporate status of WKA. Of special interest is the Internet-intensive nature of WKA. Please read over this site for more information.